Is the appearance of your lift and its landing entrances letting the rest of your building down?. Does it feel drab, old fashioned and unloved? 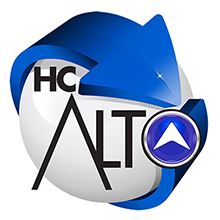 Well, if it does let HC-Alto give it a modern make over. You will be surprised at what can be achieved when using modern materials to change wall finishes, interior lighting, flooring and lift controls that we will bring your existing lift interior into the 21st century. The choices and scope is endless so if it’s a corporate design or image you want to carry through the building or just make the experience using the lift more pleasurable we can tailor a package to suit. If there is a need to improve disabled access facilities for those less mobile then we can also encompass these requirements into all of our interior modernisation programs.